With DeAndre Hopkins leading the way and a crew of young, talented players behind him, not much is likely to change. 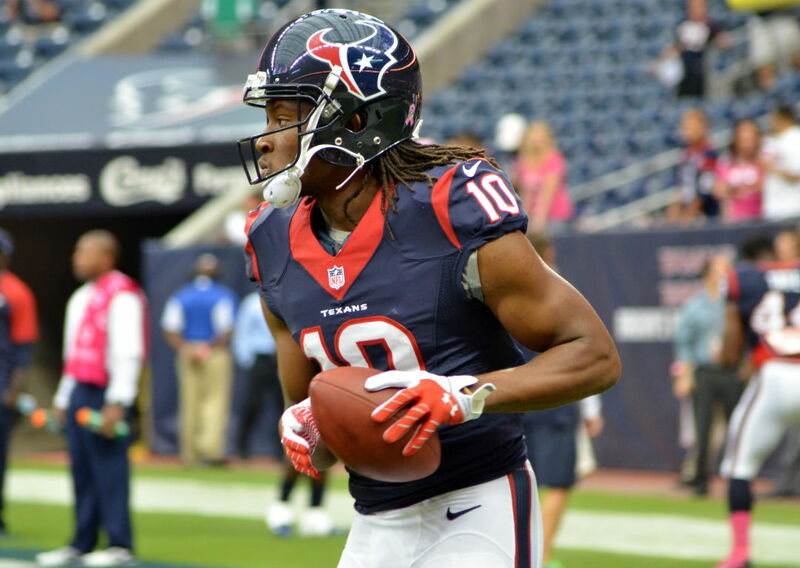 This year will be wide receiver DeAndre Hopkins' fifth season with the Texans. 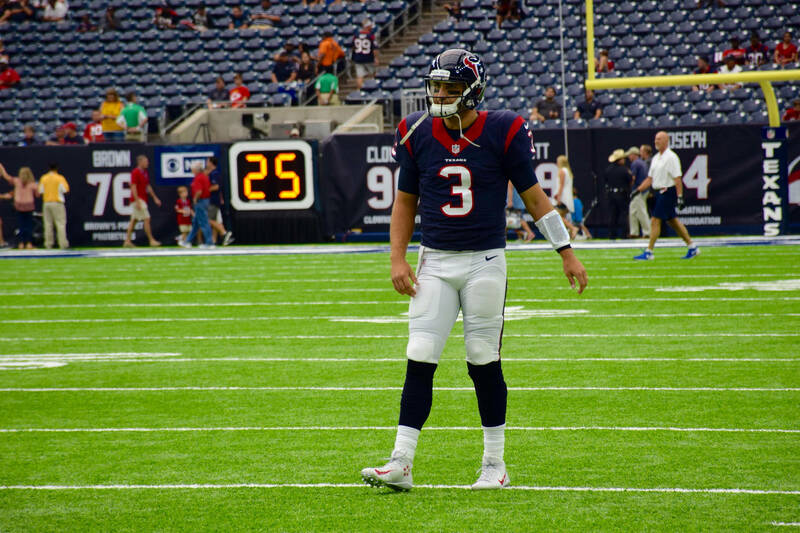 We previously took a look at the Texans’ quarterbacks and running backs in our offseason series, and we continue today with another part of the offense, moving to the wide receivers. Perhaps even more so than the running backs, the wide receiver group is a position where the team has invested heavily. The Texans have made every effort to invest in their offense in recent years, and that includes at wide receiver. 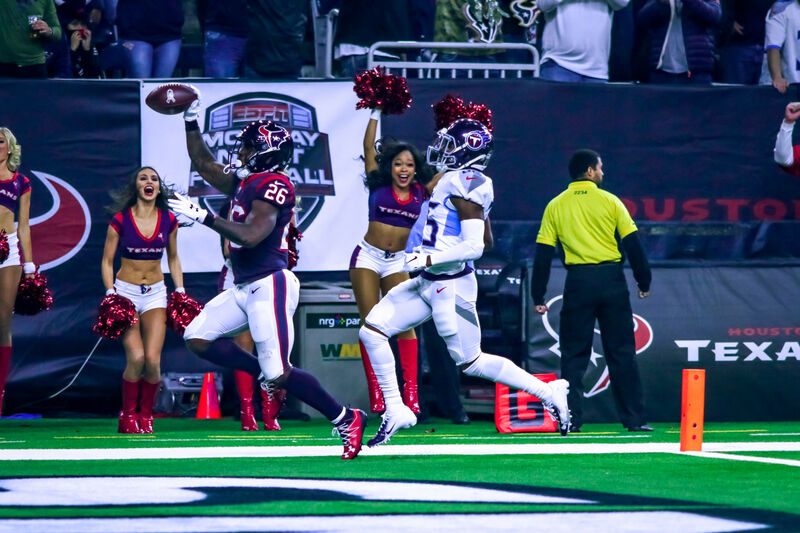 In the last two years, the Texans have used a first-round pick (Will Fuller) and two third-round picks (Jaelen Strong and Braxton Miller) on receivers to complement star (and former first-round pick himself) DeAndre Hopkins. Because the team is so heavily invested in the position already — and largely with rookies on cheap contracts — they are again unlikely to make many changes to this group. Last year’s first-round pick Will Fuller is the starter opposite Hopkins, using his speed as a complement to Hopkins’ reliability, and he occasionally returns punts and kicks as well. Third-rounder Braxton Miller plays the role of the athletic slot receiver, a position he is still learning after transferring from quarterback for his senior year at Ohio State. 2015 third-round pick Jaelen Strong backs them up; he hasn’t seen the field much the last two years, but he’s still very young (a year younger than Miller despite being drafted a year earlier) and still has the potential to take a step forward. Fifth receiver Keith Mumphery primarily plays special teams and fills in when one of the other receivers is hurt (as happened periodically to Fuller, Strong, and Miller last season). The final receivers currently on the roster will likely not make the team in September; Wendall Williams was promoted to the active roster after Miller went on injured reserve and picked up some special-teams snaps, but that’s it for those three. 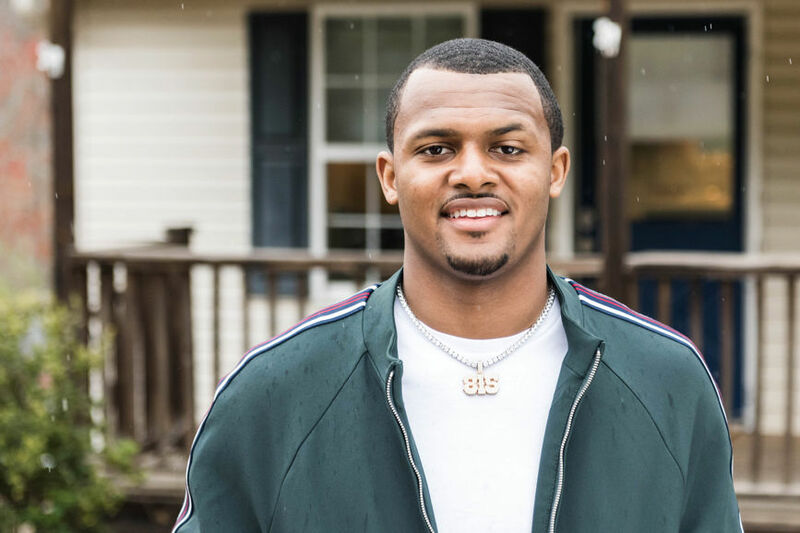 The youth investment at the position makes it unlikely the team will address receiver again, outside of perhaps a late-round draft pick, or a cases where a training camp body impresses the coaching staff. While free agency has a number of potential quality contributors at the position, the Texans won’t want to spend much there. It’s possible they could see someone they think is a great value, but it wouldn’t be wise for the team to spend extravagantly. Similarly, while the Texans might draft a receiver, I find it hard to imagine them doing it until the late rounds, if at all. It’s possible they could target a quality athlete who’s a bit of a project at the position, similar to Strong, or another special-teams contributor like Mumphery, but I don’t expect them to make it a priority. One issue with the receivers outside Hopkins was their health. 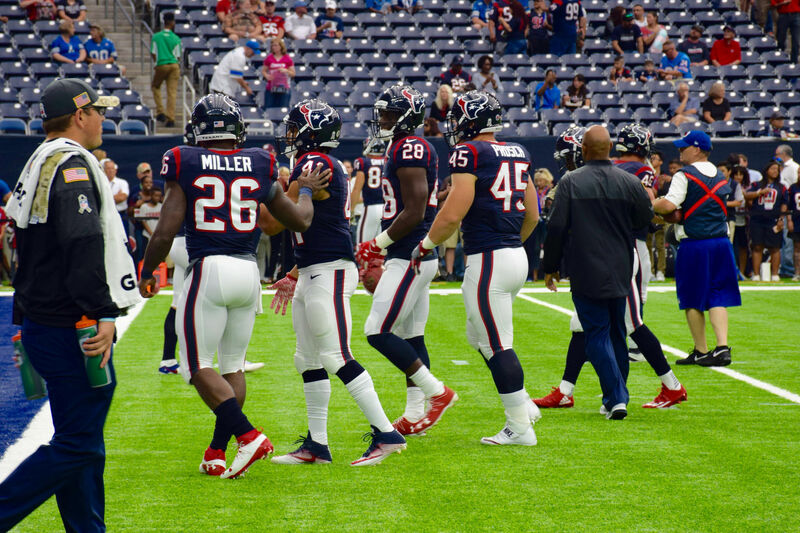 Fuller missed two games with injury, and Miller and Strong ended the year on injured reserve. The three young ones have some consistency issues as well, but at their age it’s reasonable to expect them to improve this year. It’s possible the team looks to upgrade one of Strong or Mumphery, but they’re cheap and capable in the roles, and Strong has a chance to improve into more than that. I wouldn’t expect something like that to happen unless the Texans really found a steal in the draft. That said, I think this draft is deep with potential contributors, so the Texans might use a third-day pick on a player to push the guys at the back of the roster. Again, though, much like the running backs, this is a position where the team has already invested heavily in recent years, and likely won’t do much. Next time, we’ll take a look at tight ends, which may be a different story in that regard. Ages are as of the 2017 season kickoff on September 7. Cap numbers are taken from spotrac.com.